﻿ Oceanic - Zoneco Group Co., Ltd. The world-class modern marine ranch is built on a large scale and standardization in the north of yellow sea by the ecological idea of ‘protecting sea during the process of using sea.' It covers 16,00 square kilometers and gains the attention and recognition from the world with its ecological values and practical achievements. It has established rare seafood breeding base, the nationwide modern seed industry, nationwide patinopectenyessoensis field, the Chinese first-class sea cucumbers and abalone breeding bases in places such as Dalian, Shandong, Fujian, Korea, Japan and North America. Lots of high-quality and green rare sea food such as patinopectenyessoensis, stichopusJaponicus, abalone,conch and oysters are bred. 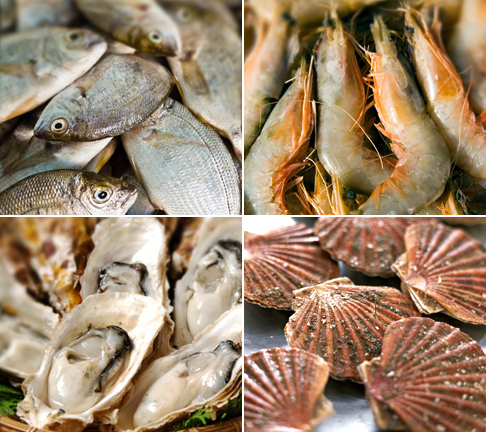 Those rare sea food are regarded as anational geographic indication of products by State Quality Supervision Bureau,gaining the first Carbon Label of Chinese food industry. Global fishery resources of purchase, temporary culture, selling and dispatching are integrated. The overseas high-quality resources and domestic consumption market are highly connected. The business groups of marine ranches stick to the development concept of studying, producing and operating fine breeds, conducting researches and creating two innovative platforms. The idea of germplasm creation and seed-breeding is used in the sustainable development. The group has nationwide patinopecten yessoensis field and five seed propogation bases, mainly producing rare seafood offspring such as patinopecten yessoensis,abalones, stichopus japonicus,zoneco seafood and halocynthia roretzi, providing six billions of high-quality bottom sowing patinopecten yessoensis’s second level offspring seeds, 5 millions of stichopus japonicus offspring, 20 millions of abalone seed-weed and 1 billion of Zhangzidao Island oysters. Lots of field such as offspring breeding technology, modern breeding application, new product introduction have got new breakthroughs continuously. For example, Zhang Guofan, the vice director of Ocean Department in Chinese Academy of Science and Zhao Hong’en, the deceased director Dalian Marine Laboratory took the lead in studying and developing new marine things, gaining second prize of national science by developing Haliotisdiscushannai Dalian Number one. After that, the mode of abalone should be bred in its ownplace.ProfessorGuoXiming in American New Jersey Universty conducted research on triploid monomer of oyster breeding technology and oysters present in the form of 100 percent of triploid monomer. Professor BaoZhenming in the School of Life Science in Chinese Marine University and Zhangzidao Island Group develop new product of patinopectenyessoensis named ’HaidaGolden’,gaining the identification as fine new products by nation. The industrial transformation has been conducted in the marine ranches in Zhangzidao Island. The New product named Red of Zhangzidao Island developed by Biotechnology research and Development Center of the business group has come to the industrialization level. The fine seeds have covered all the China in the production in 2013. Under the support of platform of industry-university-research, industries such as BLUP and family method of breeding have moved on steadily. The new business mode that promotes the propagation of sees in Zhangzidao Island whose front-end development is conducted by scientific research institutions. The affirmative sea area has been conducted functional zoning division based on the deep analysis of the knowledge such as seabed material of affirmative sea are, sea environment, carrying capability and ecological capability and the integration of timely monitoring of sea environment, early warning and forecasting technology, third level of large-scale patinopecten yessoensis breeding technology, bottom sowing multiplication of deep-water shellfish technology, harmless effective capturing technology, the safety monitoring technology of shellfish multiplication. Based on the functional divisions, the integrated shellfish bottom sowingmultifaction demonstration area has been built, including patinopectenyessoensis proliferating zones, abalone proliferating zones, stichopusjaponicus proliferating zones, which facilitates the harmonious development between industry and ecology. Ecological submarine ranches, recognized as submarine bank, provides more than 50,000 tons of high-quality patinopectenyessoensis. They respect the growth regularity of biology, carrying out the concept that abalones should be raised in local places. In the northern part of China, Rong Cheng city is regarded as the core to build up abalone industrialization operation centers while in the Southern part of China, Ning De city is regarded as the core center to build up abalone industrialization operation centers where abalone projects worthy of ten billion of RMB has been built. Ecological Breeding：The concept of using the sea and protecting the sea is followed, and the corporate culture that ecology is vital has been presented. 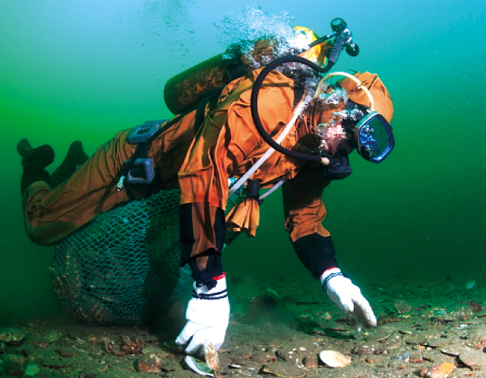 The seaweed bed is built by adopting the methods and technology of physics and biology to set up artificial fish-reefs and artificial algal reefs. Rare seafood habitat is repaired and optimized related to StichopusJaponicus, echinus, Haliotis discus hannai and scallops., gaining the first identification of MSC in China. The group implements the concept of global resource integration, promoting the concept of rare seafood resource integration in the Liaodong Peninsula, the Shandong Peninsula, southeast coast and Northern Territories. Currently, the resource integration of patinopectenyessoensis offspring in the Liaodong Peninsula including Changhai waters, Lvshunwaters, and Zhuanghe waters, of abalone and seaweed integration in Shan Dong Peninsula including Rongcheng and Changdaoand abalone resource integration in south-east coast including Ning De and Pu Tian. In 2012, the concept of resource integration had gone abroad. The first agricultural and fishery project built by Chinese industry in Korean The Kuril Islands was Zhangzidao Island Group Korean Limited. The project used sea cucumber and seedling as point-cuts, integrating high-quality rare seafood in the Korean peninsula by means of Korean offspring order and domestic product orders, aiming to achieve the goal of forging the second Zhangzidao Island. Keeping faith of core value of responsibility and gratitude, Marine ranches shoulder the social responsibility to explore new socialist fishing villages when it is continuously becoming stronger and stronger. It will be taken as the exemplary role of marine ranches and it will embroider on the thoughts of constructing and developing marine resource base, optimizing development combination, strengthening construction of offspring, increasing the ability of regional resource integration, promoting regional economic development by use of brand, synergetic Development of aquaculture industry and gaining double winning. The company also advocates the cooperation mode of integration of government, banks, research institutes, companies and farmers. Through the export of capitals, management, technology, and brand, it will lead 10,000 farming industries to achieve common prosperity.